Janine Wolstenholme is an experienced advocate. She undertakes advisory, drafting and advocacy work, across all aspects of general civil litigation. Clients enjoy a high level of service and particularly appreciate her forensic, holistic and tactical approach. Janine has significant experience in the Coroner’s Court (coroner and jury) representing interested parties in inquests involving deaths in custody, neglect, medical malpractice, mental health, substance abuse, including NPS, and road traffic accidents. She has a particular interest in cases involving children and protected parties. 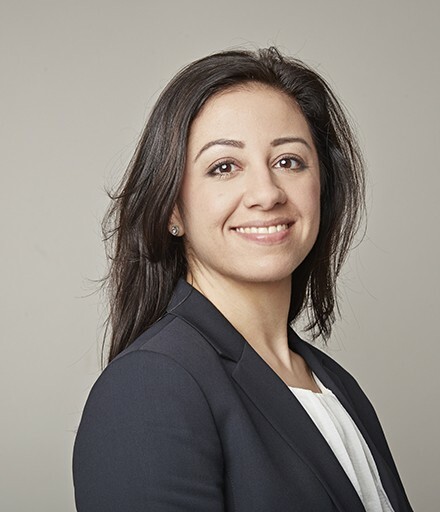 A significant proportion of her practice sees her acting for the State, public bodies and corporations such that she is very much aware of the wider statutory considerations that may arise in any given case. The majority of cases in which she is instructed are Article 2 and jury inquests. She is very familiar with Regulation 28 issues. My experience ranges from short, natural causes deaths to cases lasting several weeks, with a number of interested parties. The cases in which Janine is instructed often attract media interest. A complicated three-week inquest in respect of a death in custody involving, inter alia, mental and physical health concerns, language barriers, and bullying. Acting for a nurse, as an individual, in respect of a death in a nursing home, which was adjourned part way through for investigation by the police. The successful defence of a claim for judicial review, brought against a coroner, for his refusal to conduct an Article 2 inquest and sit with a jury, in respect of the death of a very young child who passed away having developed septicaemia. An inquest into the death of a woman killed by her partner who had previously served life for the murder of his ex partner. An inquest into the death of a man who passed away whilst in a specialist residential unit undergoing a voluntary detoxification programme. Janine also provides training, and has delivered sessions to clinical staff at NHS hospital trusts. Janine has significant experience in this area having acted for a range of government departments, local authorities, public bodies and insurers for many years. Prior to joining chambers in 2007, she was an in-house advocate in local government for five years where she encountered a number of niche areas, including education law. In addition to appearing in the Magistrates’ Courts in relation to non-school attendance, she provided advice and training to schools and councillors on a range of legal and policy-related issues arising in an educational setting, including compliance training with the then Disability Discrimination Act. In her current practice Janine accepts instructions in relation to a range of Public and Regulatory Law matters, at all stages of a case from initial advice and drafting through to the advocacy at interim and final hearings. In addition to appearing in the County and High Courts, in cases of clinical negligence, allegations in relation to public-sector duties, powers (including judicial review), allegations of misconduct and misfeasance in public office for example, Janine appears in cases before a number of specialist tribunals, including the Health, Education and Social Care Chamber, SENDIST and the Coroner’s Court. Recent instructions include representing Ofsted in a multi-day appeal against a decision to remove a child-minding licence following serious misconduct and regulatory breaches, as well as acting for local authorities, defending challenges concerning special educational needs including allegations of a failure to statement or provide an EHC Plan, failure to identify, or properly identify, a child’s needs, and a failure to provide adequate provision. Such work necessarily involves a number of medical and mental health professionals and their decisions about the extent of a child’s needs. She is also instructed to provide policy advice. Recent instructions include a bespoke provision for children with significant needs, and families caring for those children, where the local authority had been found, by the relevant regulator, to be in breach of the statutory rules and procedures. She has also advised on the provision of facilities at school for transgender pupils. Janine sits as Chair on school admissions appeals. She also has experience of acting, and acts for, parents wishing to challenge the failure to provide a school place in other local authority areas. Recent instructions include a successful appeal on the grounds of maladministration in the application of the relevant academy’s policy. Janine has a nationwide practice and is happy to travel to accommodate her clients’ needs, as well as deliver training and seminars to clients at their premises. Janine may accept Public Access work, where she can be instructed directly by a member of the public rather than a solicitor. We are delighted to announce and welcome back Janine Wolstenholme to practice from maternity leave. We are pleased to announce that Janine Wolstenholme has been appointment as Assistant Coroner.